Create and search your own library: Google knows search, and with My Library, we’re extending that functionality to your personal book collection. Now you can build your own library on Google Book Search, which you can organize, annotate, and of course, full text search through the books you select. We see this as a new and powerful tool to help users organize and navigate their books. For example, a student could build a collection out of all his sources for an upcoming term paper, and then use Google Book Search to quickly find which book and page contains a needed reference. In another scenario, a frequent traveler might search her Google Book Search library of guide books to figure out which book in her offline collection offers the most information about an obscure town so she can take it along on her next trip. Share your expertise: While you’re creating your library, you can also annotate it by adding labels, writing reviews, and rating books. 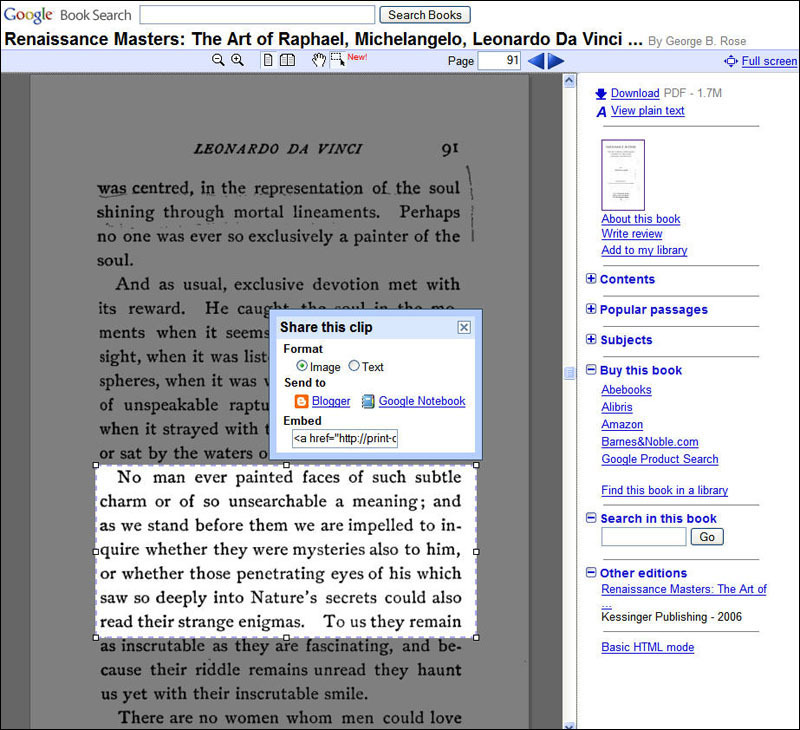 Then share your collection with others by sending them a link to your library in Google Book Search. You can even set up RSS feeds with friends so that they’re alerted when you add new books to your collection. By exploring popular passage links, you can see how an excerpt has been used throughout time and discover the connections between books. Select, Clip and Post Text: We’ve added a feature to let you clip and post selections of text from out-of-copyright books so you can share your favorite passages or quotes with others. Click on the ‘share this clip’ icon in the blue navigation bar, highlight the text, and then choose whether to post it to Blogger, Google Notebook, or get the URL to embed the clip wherever you’d like to display the passage. Refine your search: In addition to the new features that let you interact with books, we’ve also added search refinement links on the results pages. These links point you toward categories of booksthat match your search and give you a new way to peruse the index. As we continue to digitize the world’s books and the index grows. 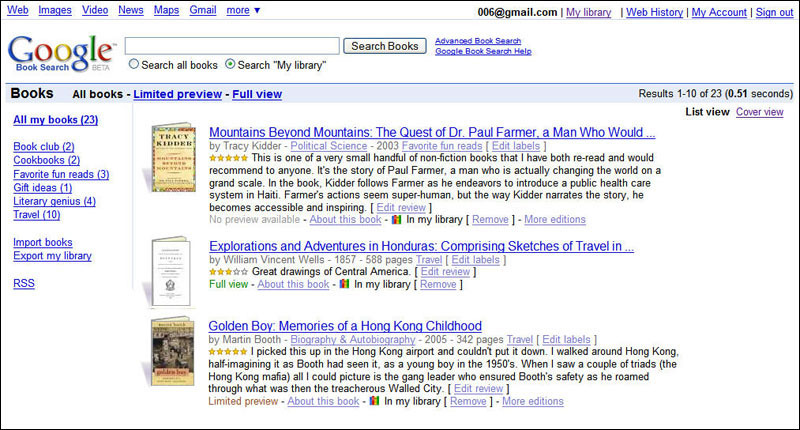 We hope that these new features inspire you to explore, organize and share your book finds on Google Book Search. 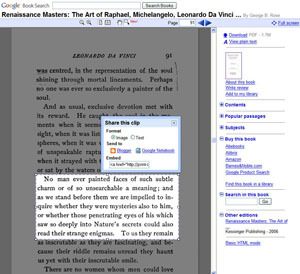 You can try out Google Book Search by visiting books.google.com.